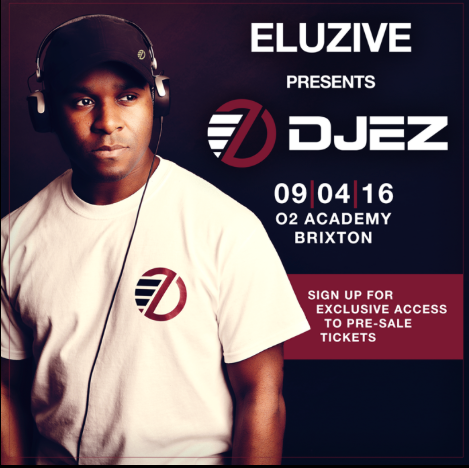 UK garage’s DJ EZ recently announced his first major show at London’s O2 Academy Brixton on Saturday 9 April 2016. Following a year that has apparently been his biggest to date, with performances at the likes of Creamfields and Parklife attracting a new audience, 2016 may be set to eclipse it as he continues to try to blaze the trail for the garage movement, taking it to the masses and propelling what has possibly become one of the most favoured sounds of the dancefloor and airwaves of recent years. Through landing his own live radio show in 2000 on Kiss FM which he hosted up until 2014, his popularity garnered him a huge following which was cemented by the success of ‘Pure Garage’, the first of a series of compilations mixed by DJ EZ, which remains the UK’s biggest selling Garage compilation series to date selling over two million copies. He is ‘hailed as one of the most creative, innovative and technical mixers on the dance circuit’, something which has earned him the apparent position as the UK’s #1 garage DJ. He is a true bastion of his genre and his live performances are popular for a garage, bass and electronic music lovers alike.